Posted April 11th, 2012 by David Porter & filed under Social. 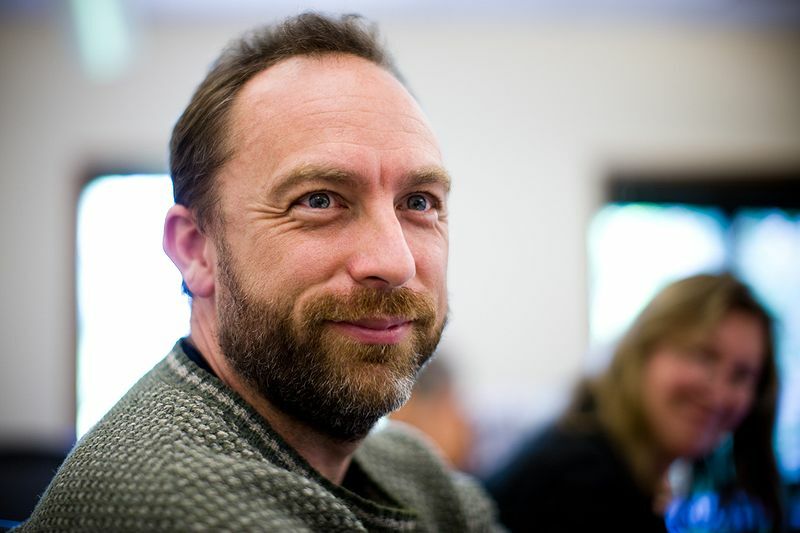 Jimmy Wales to Help UK Government? Another example of how the open-access, public driven internet is sweeping all before it. Crowd-sourcing is truly mainstream now. Wikipedia co-founder US citizen Jimmy Wales has been rumoured to be about to help the UK government to be more transparent. He will become an unpaid adviser across the corridors of Whitehall helping officials on ‘how the public can be better engaged through the internet’. The Government has already tried crowd-sourcing ventures, including ideas for the Budget and suggestions for the cutting of red tape (over 600 regulations are set for the chop as a result). Clearly as MBF Blogs have reported many times over recent months, asking people to feed in ideas is a cost effective way of problem solving. The Government epetitions website invites issues of the day to be put in and when 100,000 signatures online are reached, it is put up for debate in the House of Commons. Europe, tax, fuel prices, capital punishment and immigration have been regularly popularly expressed topics so far. Jimmy Wales’ brief will apparently be to come up with ways of making technology itself and social and other media applications in particular more appealing to voters who quickly become disenchanted, feel powerless and turn against politicians. A similar approach is in the air from Google UK in partnership with the non-profit making project, Historypin. For the Diamond Jubilee this summer, Google will create ‘an interactive online gallery and archive’. Old photos and press photographs, maps and planning papers from the Royal Archives and the Royal Collection are being tapped to show snapshot moments from the Queen’s sixty years in almost every country on earth. She has toured consistently, and the data shows all the changes in demographics, formality, social mores, crowds, peoples, entertainment and attitudes over those decades. The public is being invited to trawl their own and family archives, boxes in the loft, half forgotten memories to add material to the collection. Digital manipulations will add some old images to the present days scenes, others will show faces and places long gone. It is an exciting way to harness technology with a Great British event, new opportunities with old records. There are already hundreds of digital archives across the net, incorporating books, movies and music, historical documents and letters, private and public material. The beauty of it is that any single item can be replicated elsewhere, thus opening up the material to the widest possible audience. And that means now in the Jubilee year but equally in the years and decades ahead. Or as Jimmy Wales said: ‘imagine a world in which every single person on the planet is given free access to the sum of all human knowledge. That’s what we’re doing’. Sounds exhilarating, doesn’t it. Leave aside all the worries about data, storage, privacy, public access, copyright and monetising. Many MInds Make Light Work of Challenges. Crowd-sourcing Is Now the Business. Wikis Help Keep the Net Open. Parliamentary e-Petitions: Another Gimmick Or Democratic Reform?